China’s ECH industry is facing overcapacity with new units put into operation successively, and there is a new technology scheduled to be applied to industrial-scale production. By the end of August 2018, China’s ECH capacity has surpassed 1,200kt/a, but only about 1,000kt/a units can maintain normal operation. There is about 300kt/a of newly added ECH capacity from 2018 to 2019, which takes up about 25% of the total. The overcapacity will intensify, and some ECH producers may suffer severe cost pressure due to the large feedstock differences between the two major technologies in China. China’s ECH spot market slumped in H1, 2018, and the spot prices in end-June dropped by RMB 5,100/mt or 30% from earlier this year. Although the spot prices rallied somewhat in Q2, 2018, the market entered a downtrend again in Q3, 2018. In H2, 2017, the overall industrial profit went up with the spot prices surging, but it shrank in 2018 due to slipping spot prices. There are still some newly added units scheduled to be put into operation from 2018 to 2019. However, the end demand remains sluggish influenced by the slowed economic growth in China and the fluctuations in the international trade. As for the export, the export volume of ECH hit a five-year new high in H1, 2018, easing the domestic supply pressure to some extent. Nevertheless, the export volume is predicted to decline in the future. 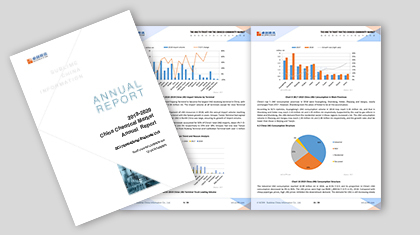 Based on the first-hand data obtained by SCI and other authoritative data issued by China Customs and NDRC, 2018-2019 China ECH Market Annual Report makes detailed analysis on China’s ECH supply, demand, import & export, price trend and industry development. Meanwhile, combined with analysis on relevant influencing factors, this report will provide you comprehensive and reliable references for your future operation.